As I have mentioned on these pages, the Mona Lisa has no eyebrows. Which could have been fashion or just a personal thing, for either La Giaconda or indeed Leonardo hisself. 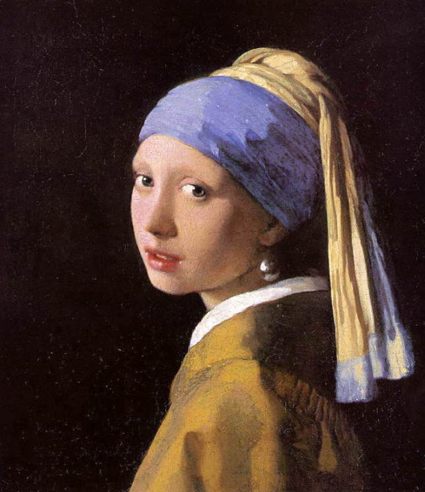 But now I look closely at Vermeer’s Girl with a Pearl Earring, and find she too has no eyebrows. The Mona Lisa was painted between 1503 and 1507, and the Girl with a Pearl Earring was painted over a hundred years later, between 1665 and 1667. So I guess we can rule out the fashion theory. as indeed it would appear Vermeer has done. I'm still busy doing other things. That is things other than painting. 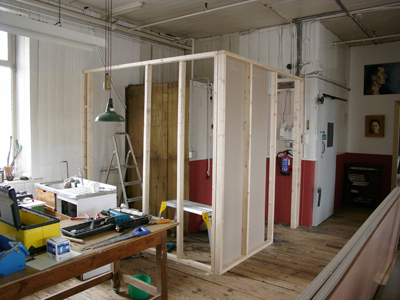 For instance building a room-set for a photographer. Once all the bang and crash has stopped I'll be getting back to painting - I miss it. But a break is a good thing, it makes me hungry and stops me becoming complacent. 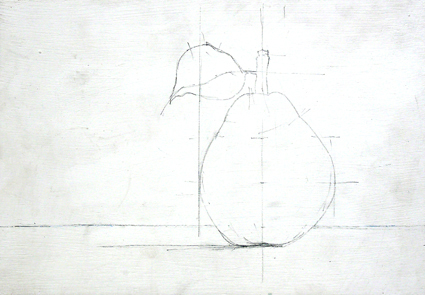 UPDATE: the pear [see below] went off and I shall have to contiinue, when I start to continue, from a photograph, hey ho. And he sadly hasn't even got space for a forklift truck. So he's keeping his work here until they get shipped north in November. 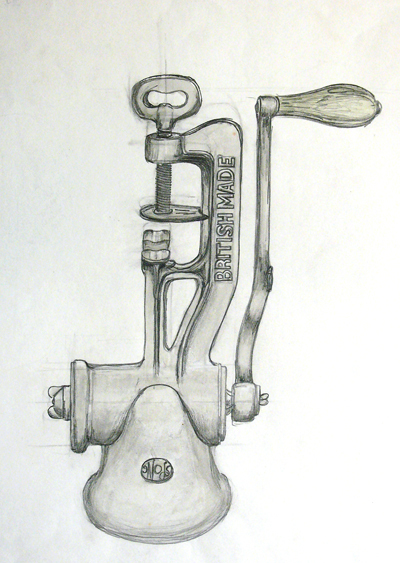 I feel a series of splashes coming on, a whole exhibition; a white gallery, a bucket of red paint… This thing could run and run. 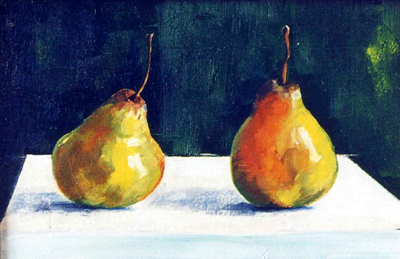 Now maybe I shall once more squeeze the tubes of the oil paint and set to on the pear. I do enjoy the building thing, though. It's very positive. You saw some wood, you hammer in some nails and if all's well it doesn't fall down. So you know where you are. If it does fall down, you still know where you are, you just go back to the start and don’t collect £200. But with the building thing everything moves forward. Sure, you need skills and knowledge. The timber gets nailed together - there's something pure about a nail - and the structure grows. 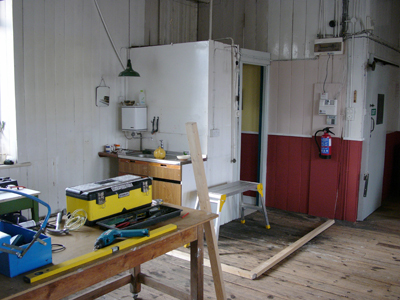 I've swapped the paint brushes and pencils for a hammer and saw, amongst other things, while I fiddle with the kitchen area of the studio. So I'm wearing my builder's hat for a few days. “But I can’t even draw a glass of water,” I said. Mrs Robinson, my art teacher, had suggested I go to art college. “Art College – Me?” She smiled the knowing smile of an Art Teacher and pointed out that a glass of water was in fact a tricky thing to draw. I eventually ended up at Liverpool College of Art where I chose film and animation as my subject, primarily because it was taught by Ray Fields. 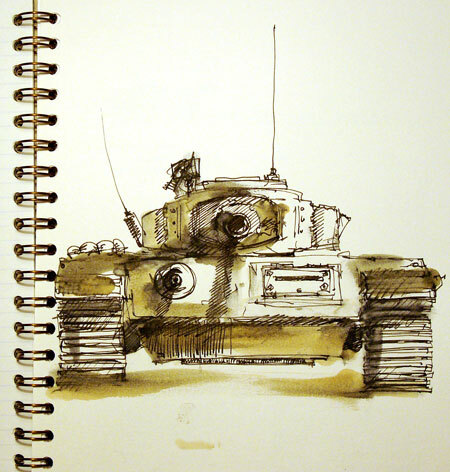 Ray Fields was a truly inspirational tutor, who taught me that, as a visual person, I should be able to attempt anything from typography and illustration to portraiture. He didn’t limit his tutorials to film and animation – though he was passionate about these, and about colour, which he always pronounced “cal-er”. He said: bring me your paintings, bring me your sculpture, bring me your poems, bring me the Head of Alfredo Ga… [enough, Ed]. Bring your work to me in wheelbarrows. His big thing, apart from colour, was DOING IT. 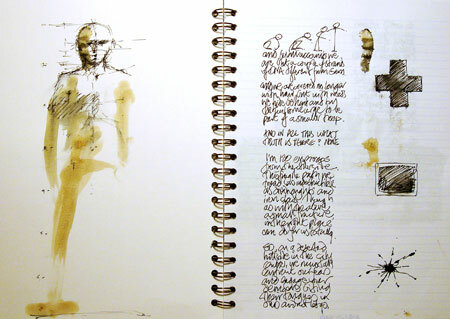 “Less talk more DO”, he would say, marching into the studio on a morning; and proceed to talk for an hour. But he was so passionate about art that we listened like a parcel on Christmas Eve: rapt. Did I mention the fruit? is tedious in the extreme, Oranges are, well, just orange. 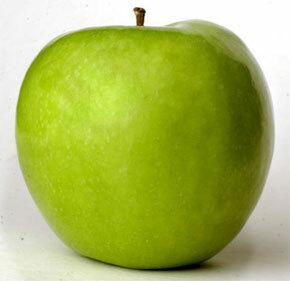 Bananas are merely props for comedy routines. Grapes have far too many roundy bits. Strawberries: too clichéd. Ditto raspberries. 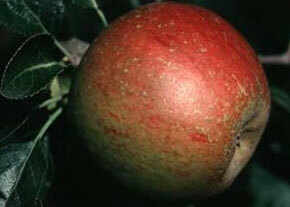 In fact most berries are either too complicated, too fussy or too messy. 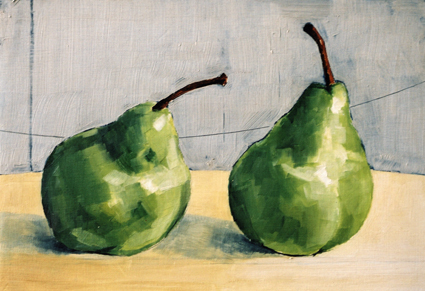 When painting a fruit it has to remain in a reasonable way for a week at least. Which leaves lemons and pears. And even then you’ve got to find the RIGHT lemon. 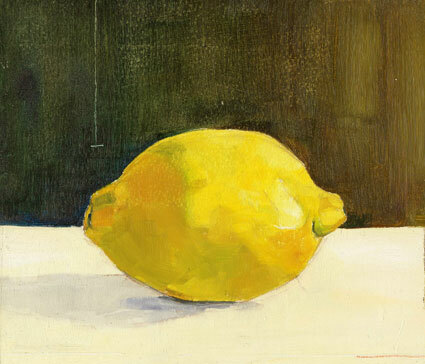 Most lemons, sadly, don’t look like lemons [see splashes]. So I was in Sainsbury’s going through the lemon boxes, holding up each lemon and narrowing my eyes appraising its lemonness, when my somewhat odd behaviour was brought to the attention of a supervisor. 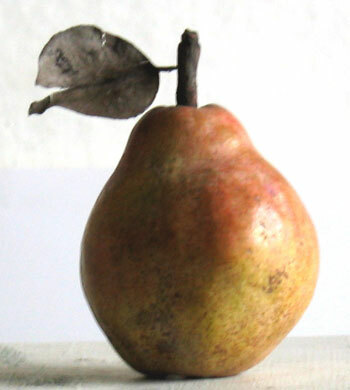 I was a bit more careful when choosing the pear I am about to embark on. It’s a peach don’t you think? Now peaches, you see, are too furry by far and should be left to the blendy attentions of the pastel artists. And did you spot it? Did you spot what's missing in the illustration below? 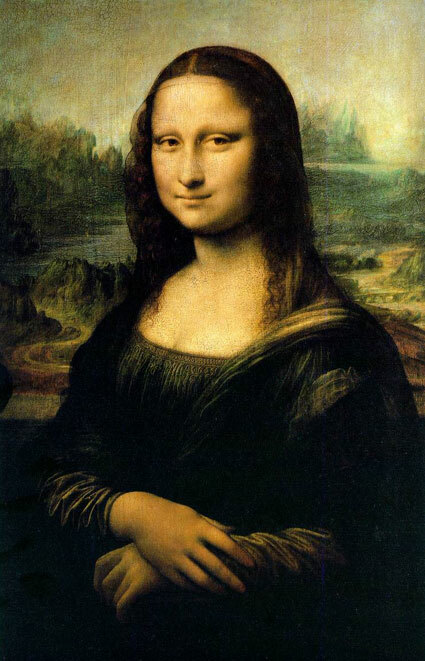 Yes, [shock horror] the Mona Lisa, La Gioconda, has no eyebrows. Scholars have speculated over this for years, was it merely fashion? 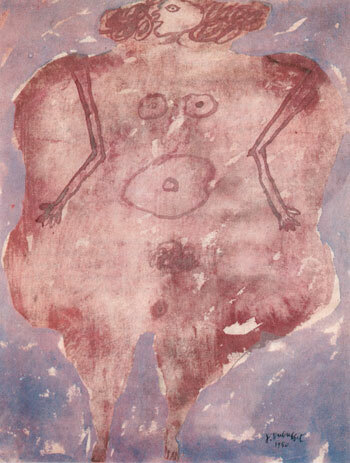 Or was it a cunning artistic ploy by your man Leonardo? Or perhaps he just had a thing about eyebrows. We shall never know. But it hasn't detracted from her perceived beauty over the years. Furthermore, Leonardo kept this painting with him all his life, taking it with him where ever he went; and it's in Paris now because he took it with him when Francis I of France invited him to Amboise, where he stayed, in the manor house at Cloux, until his death in 1519. 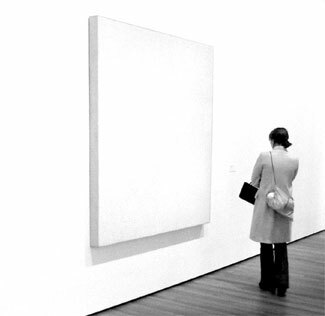 Looking at a painting is an active thing. 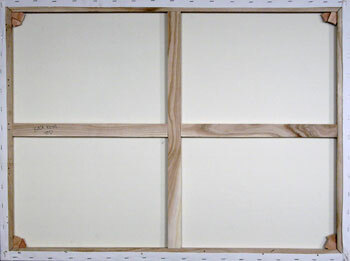 A painting needs looking at, but not like television needs looking at. Television doesn’t need looking at, television is a passive thing. You look at it but don’t SEE it, you just recognise a series of moving images and are mesmerised by them. A painting on the other hand has to be worked at. A painting demands that the audience looks at it, and worse it doesn’t DO anything. It is static, it doesn’t have a beginning, a middle, or an end. It just IS, and it continues to be whether you look at it or not. Music is popular because it has a beginning, a middle and an end, and you know when it’s over and if you didn’t like it you can feel relief and if you did like it you can play it again. If you don’t like a picture it doesn’t go away, this makes a viewer nervous. Hanging a picture on your wall is a much bigger statement than putting some music on at a dinner party. Books too, though you have to do a bit more work than music, have a fixed time element, a beginning, a middle and an end. Films, television, radio, music, theatre are all thought of as Entertainment not just Art. No painting has ever been classified as Entertainment..
“The mob not only grabs hold of art without being entitled to do so, but it also enters the artist. It takes up residence inside the artist and smashes a few holes in the wall, windows to the outer world: the mob wants to see and be seen. So said the great gonzo journalist Hunter S Thompson. 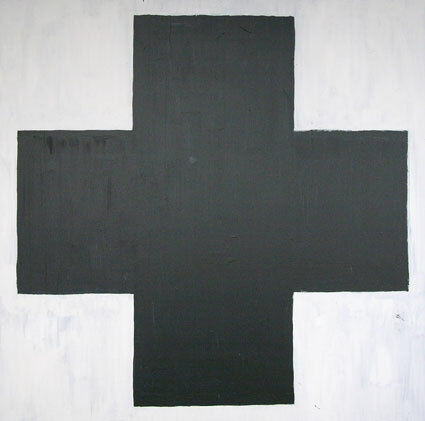 Well I’m waiting and in the meantime I’ve been painting a cross. Sometimes I just don’t know how I contain myself. Was thought of as something shocking. 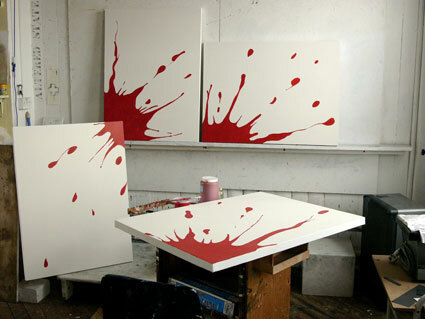 I have often talked about the difficulties of abstract painting now that, as above, anything goes. Hell we’ve had whole exhibitions where there is no work in the gallery, just a white painted gallery. 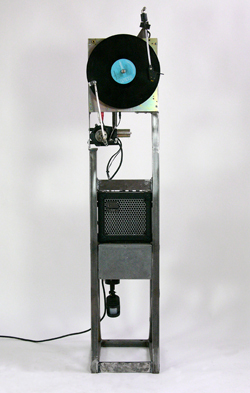 So the scope for abstract, conceptual, de-constructed post-modern art is infinite. at the other extreme, with Abstract Expressionism. Here, I should point out, Willem de Kooning is expressing the expressionist element of abstract expressionism more than the abstract elements. though he clearly isn't ignoring these. So when I say I'm a figurative painter don't jump to hasty conclusions. 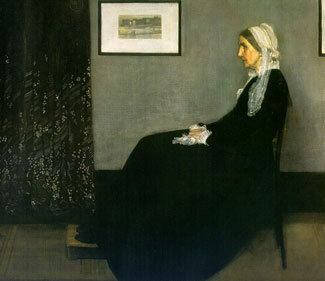 any resemblance to Whistler's: Arrangement in Grey and Black: Portrait of the Painter's Mother, is purely coincidental, honest. Spent the day fiddling with the thin ends of the splashes. Now it needs another coat of looking at. People have asked me what it said in the notebook on the cafe table. of DNA different from grass. tongues in our teeth and not let go. naked in front of the iron clad tanks. 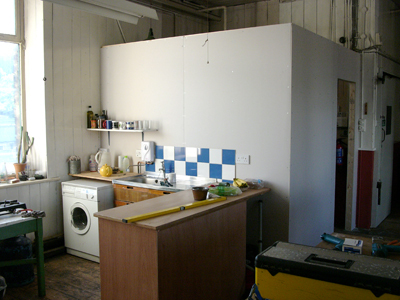 For those of you following these things, work progresses on the Scottish Commission. 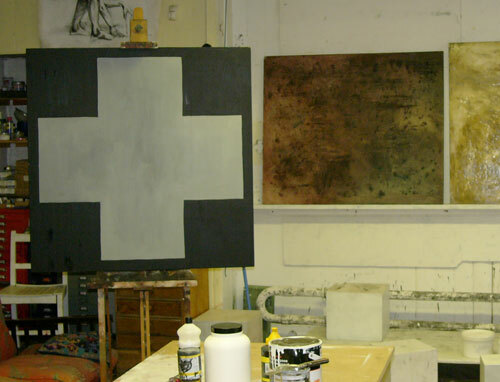 I'm working up the four canvases separately now, having drawn the splash outline across them all together. The background is down and the first coat of red has been applied. More coats are required to make the red solid. 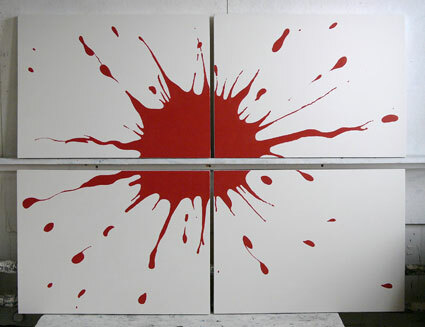 Then work will be needed on the blots to make the whole thing seem to have been created by a bucket of red paint being thrown, from some distance, at the canvases. 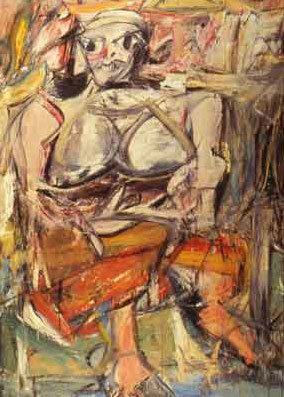 Joe likes the abstracts but doesn’t like the naked torsos. Susan likes the naked torsos, but doesn’t think much of the text. Helen doesn’t like the naked figures, but likes the portraits. Colin really likes the text and cloth stuff. Beth thinks the wild abstracts are great, but not the portraits. but you can’t please all the people all the time. Society, with its sprawling messy interdependent complications, likes to pop us in boxes. Likes to label us. It is the job of an artist to stand outside society and reflect on its idiosyncrasies, inconsistencies and hypocrisies. We can’t do this if we’re in a box. The pressures of society are immense. The pressure to conform is very strong. It’s hard to do something different, to stick your head above the lid of the box and maintain confidence and sang-froid, while all and sundry are hurling every manner of missile at you. It is important to keep moving, keep avoiding the boxes and not spend all your life blowing eggs. Haven't forgotten the Splash picture, or The Scottish Commission as it will become known among the superstitious. I’ve worked out the scale, drawn up the outline on the four large canvases and am just chilling out for a while before the Big Red Paint Day. 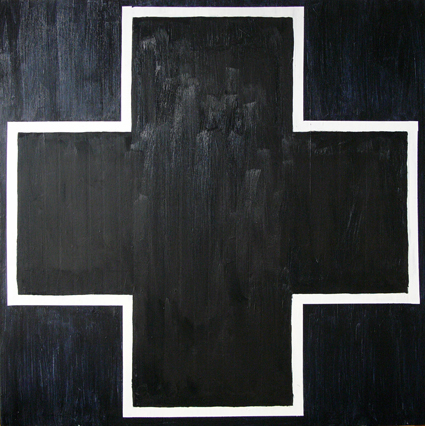 In the meantime I’ve been preparing some grounds and surprising myself by painting a cross. 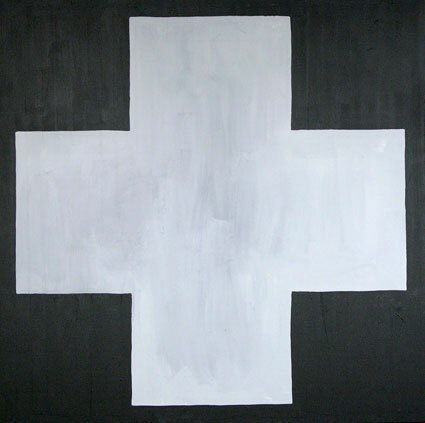 I would like to point out at this juncture that, though I knew Malevich had painted a black cross on a white background, until I looked it up for this article, I didn't realise quite how close mine was to his.